Love "Enchanted April." Beautiful photos! 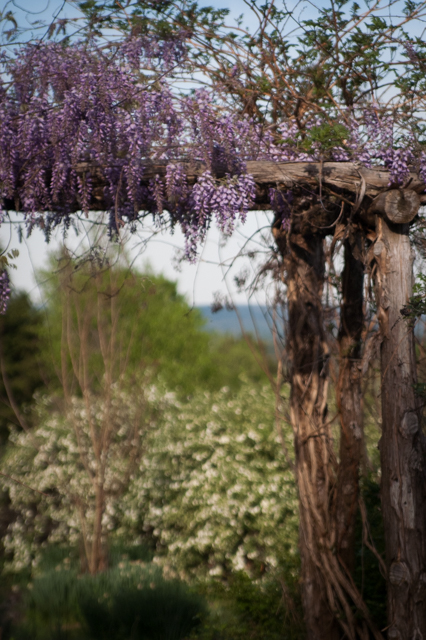 I love wisteria but it doesn't grow well in our climate. Off topic, Anna this chocolate mousse recipe is insanely delicious -- it's also gluten and dairy free. They're also blooming right here, Taiwan, now. It's so good to see them in the spring. 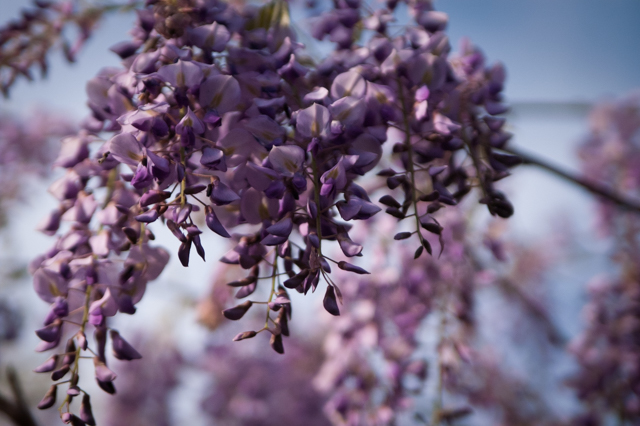 "For those who appreciate wisteria and sunshine..."
Sadly, wisteria doesn't grow in Chicago or its suburbs, especially in March, when my daughter took the stage as Lotty Wilton in Enchanted April. Thanks for the lovely photo, and fond memories of my daughter's wonderful performance. Lovely... as many other readers said, it made me think of the movie "Enchanted April" as I did actually watch it last week during a 3 day stretch of "sickness".